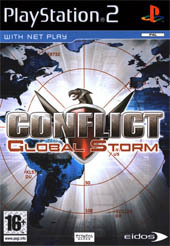 Conflict Global Storm once again teams up gamers with Bradley, Jones, Connors and Foley, the original heroes of Conflict: Desert Storm. Unfortunately for our heroes, they are once again called to duty when their team-mate Foley goes missing and this time they are joined by ace sniper Carrie Sherman to not only find their missing comrade but once again stop March 33. 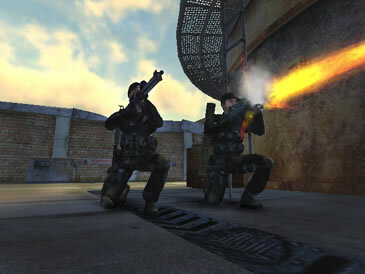 In its essence, Conflict Global Storm is a first person shooter which meets squad based mechanic that almost puts this game on the same scales as Rainbow Six. The game also boasts over 14 different missions that range from diverse locales such as South America and Asia. As with the previous title, the player gets to control one of four characters but they can switch between characters throughout the game. Each character also has their own specialisation but when it comes down to the crunch, they all perform remarkably well when it's time to fight. 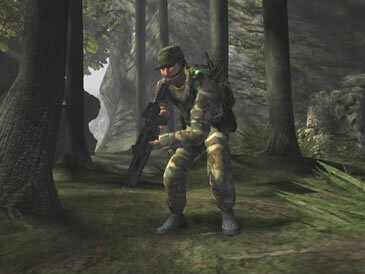 The player also has access to a variety of different weapons and items that must be used hand-in-hand to complete the missions successfully. Although the squad based mechanics generally work quite well in the title, the artificial intelligence is sometimes a little buggy which makes for some frustrating gameplay specially when your team-mates becomes stuck, considering how adept the enemy is. Although with that said, I've yet to see a game with perfect artificial intelligence. The title also supports some great multiplayer games that includes 2-player split screen and also net play for some great anti-terrorist activities. Graphically, Conflict Global Storm is visual treat on the PlayStation 2 and features some great character models with realistic textures that move with a human like grace. The backgrounds of the title have also been professionally designed and match that some with some realistic special effects such as muzzle fire, explosions and night vision & you have one graphically impressive game. As with the previous game, the voice acting of the game has been professionally implemented and the actors do a great job at portraying each of the characters. Add in a very Hollywood action movie sounding soundtrack and some realistic sound effects and it's almost as if you've been thrown into an urban war. In conclusion, Conflict Global Storm is a great game for the PlayStation 2 that contains a sturdy gaming engine, great graphics and sound & also a very engaging storyline. There is little wrong with this title, except that the PlayStation 2 is slowly starting to show its age but its still a fun and exciting game. Check it out!